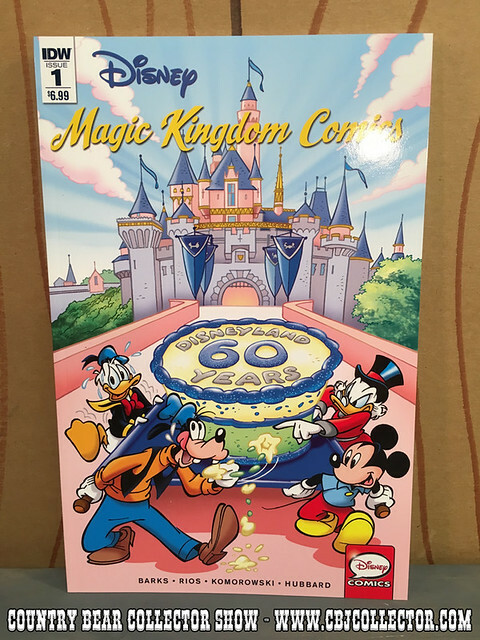 IDW has released a special collection of classic Disney Comics called Magic Kingdom Comics. One of the stories inside is a reprint of a 1971 comic story called Donald & Mickey got to Frontierland. The story centers around the Country Bears and features appearances by Henry, Sammy, Big Al, Teddi Barra, Trixie, Ernest the Dude and more! Our host gives the comic a thorough review and then lays down his infamous ‘Paw Rating.’ How will this comic stack up? Watch and see. And let us know your thoughts over at the Country Bear Collector Show Facebook Page.